It’s Sunday, Florida State fans. As your weekend wraps up, keep it here for the latest in FSU athletics. The news and notes section of this post may be updated throughout the day. Three former Florida State players will have the chance to impress NFL scouts in Indianapolis. 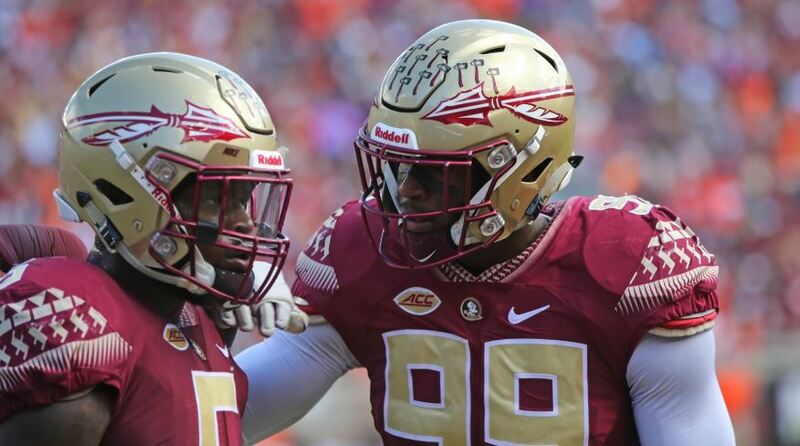 Defensive end Brian Burns, defensive tackle Demarcus Christmas and wide receiver Nyqwan Murray were all invited to the NFL Combine, which lasts from Feb. 26 to March 4. After recording 10 sacks, 15.5 tackles for loss and three forced fumbles, Burns is projected early to be a first-round pick. The draft prospects for Christmas and Murray are less clear. Christmas finished with 28 tackles and three for loss last season. Murray was the team’s leading receiver for the second year in a row, tying Tamorrion Terry with 744 yards. Murray caught 54 passes and scored three touchdowns. FSU track and field wrapped up events hosted by Boston University, Clemson and Arkansas on Saturday. FSU topped Louisville in overtime, 80-75. FSU softball pitched shutouts over UNC-Greensboro and Iowa State. FSU women’s tennis collected 4-0 wins over Florida Gulf Coast and North Florida. FSU swimming and diving competed at the Auburn Invite. FSU women’s hoops will face Notre Dame at 12 p.m. EST on Sunday on ESPN. FSU softball wraps up the JoAnne Graf Classic against UNC-Wilmington at 12:30 p.m. EST. At 6-4 in conference, FSU hoops currently sits in seventh place in the ACC.